June 2013 Member of the Month: FJX2000!!! We'd like to congratulate FJX2000 - Hayden as being selected as the June 2013 Member of the Month. Hayden: I am 19 years old and I would like to say right off the bat that I know I am a very lucky kid. I’d just like to give big thank you shout out to my parents, because they do so much for me and give me so much, and I will always be grateful and thankful for them. If it wasn’t for my mom and dad, I wouldn’t even have an FJ in the first place, so I am incredibly humbled to be so privileged to have such supportive parents. Love you guys. I was born in San Francisco where my dad was going to podiatry school, we’ve lived in Southern CA, and southeastern Utah, but I’ve been living in Cortez, Colorado for over 10 years, so it’s home to me. Cortez is located in the southwest corner of Colorado only about 20 miles from the 4-corners (where Utah, Colorado, New Mexico, and Arizona all converge in one spot.) I’ve been attending Utah Valley University in Orem, Utah for my freshman year of college this last year with a bass trombone scholarship, so I lived in Utah for the past year, but for this summer I’m back at home in Colorado. While at school, I was studying music performance (a career field I don’t plan on going into) but while there I started the UVU Off-Road Adventure Club since there wasn’t an off-roading club at the school already. Man it was a blast! We went on off-roading excursions at least once a month and at the end of the year, we actually took a 3 hour trip southeast of Orem down to Moab in the Arches National Park area as a club which was great! At school, I also got to take some digital media classes, and with the information and skills I’ve learned from those classes, I have made videos of my off-road adventures which I put on YouTube, I definitely recommend checking them out! Over the summer, I am working at a local Coldstone Creamery and Rocky Mountain Chocolate Factory store to get some cash for off-roading trips, it’s a pretty fun job and if any of you are ever coming through Cortez, drop by and I’ll serve you up some ice cream! I started working there when it first opened about 4 years ago and yes, about half of the money I’ve earned from working there has gone into mods, but I’ve also saved most of my earnings for serving an LDS mission, but I’ll get to that later. In my family, there are my parents, me, and then I have one younger sister, so we don’t have a huge family like my parents had wanted, but being small has its advantages. On both of my parents’ sides of the family, everyone is pretty close, so growing up in a good family has really been a delight for me, and has played a big part in making me who I am today. Most of both sides of my family are located in Utah, so going to school at UVU and getting to go for free food and laundry at my grandma’s house was a super nice plus, as well as getting to see a lot of my cousins and extended family very often. As for some of my other hobbies, besides all the FJ Cruiser stuff and off-roading, I enjoy leaning about dinosaurs and paleontology, space and astronomy, electronic media, music (both listening and playing), camping, sight-seeing, and most of all… TRAINS!! I’ve always been (and always will be) a train fanatic. I love learning about trains, collecting and running model trains, and seeing and riding real trains, especially old steam locomotives. 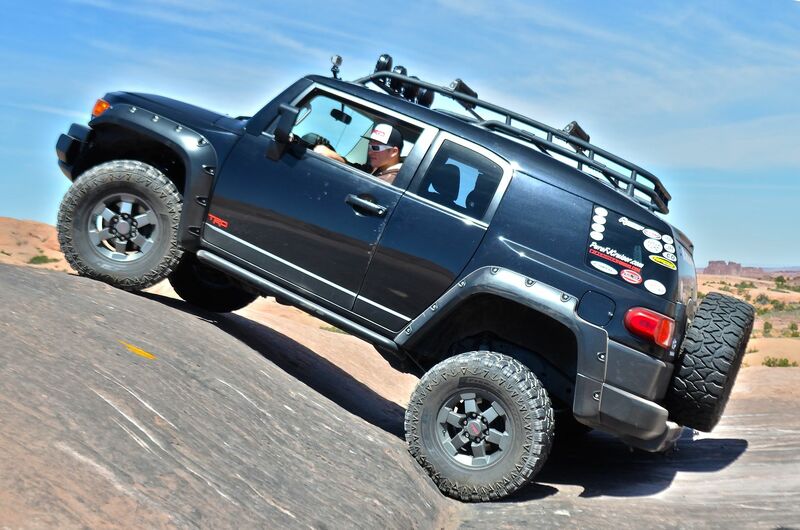 Brian: Is the FJ Cruiser your first offroad vehicle? If so what led you to owning an FJC? 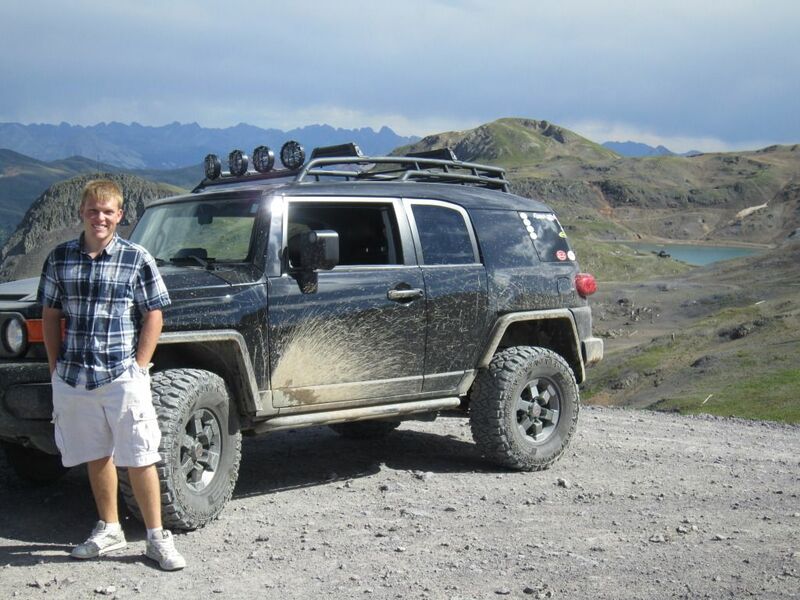 [COLOR="Red"]Hayden: The FJ Cruiser is indeed my first off-road vehicle (as well as being my first vehicle period!) What led me to getting an FJ Cruiser was actually because a really good family friend and neighbor of mine had just purchased a used 2008 Sun Fusion FJ and I just fell in love with his. In my mind, the FJ was like a tank! And also, for years and years, I had loved Hummers, and I guess subconsciously I saw that same tough/cool look in the FJ that I saw in the Hummer as a kid. Also, when my family was first looking at getting me a car, I had always wanted something more sporty and fast, but my mom wanted something that I would be safer in and would be better for where I live where there is snow and deer and rougher roads. My dad also wanted to be able to use whatever I got to go hunting with up in the mountains, so in the end, the FJ Cruiser was the winner! We found it after looking for many months on KSL.com from a seller out of Boise, Idaho. It is a 2007 TRD Special Edition FJ Cruiser. Originally, I never even thought about going off-roading with my FJ, and I actually had it for almost a year before I went on my first real off-roading trip, but after that trip, I was HOOKED!!!! 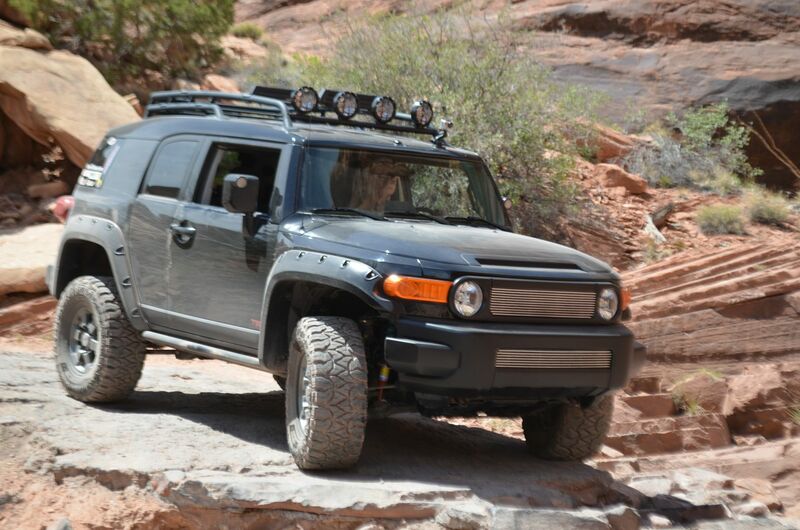 Brian: What modifications have you done to your FJ Cruiser to date? 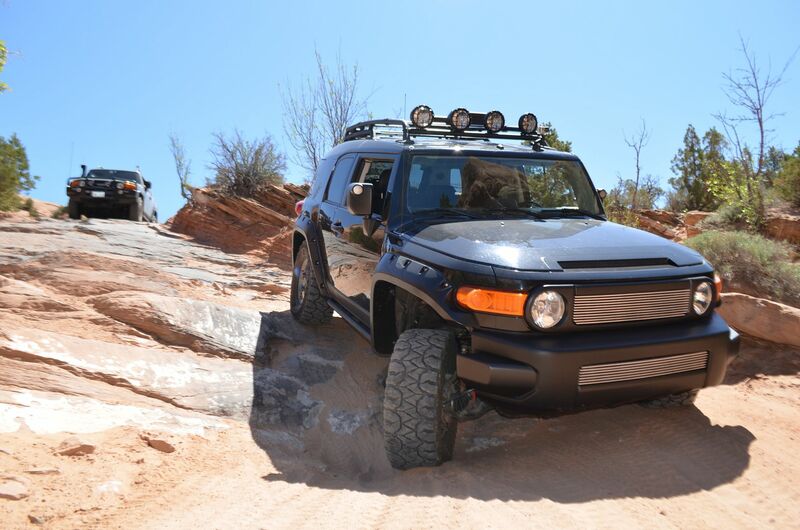 Hayden: To date, most of the modifications I have done have been visual mods that really just increase the visual appeal and “awesomeness” of the look of my rig, but there are a few actual mods that I have done that have increased my FJ’s off-road prowess if you will. I have all my mods listed in my build thread but some of my favorite mods have been my 305/70R16 Fierce Attitude MT tires (along with the 1.25” Spidertrax wheel spacers and body mount chop), the Bushwacker Pocket Style Fender Flares, the blacked out trim pieces so my FJ has a blacked out look, and my 8000K 55W DDM Tuning HID Bi-Xenon headlights. I also really like the LED strips that I have added to my center console so that they shine down on the buttons and switches and the fact that I have replaced all of the bulbs that are that nasty stock yellow color with nice new cool white LEDs from superbrightleds.com. Brian: What upgrade is your least favorite? Or what modification would you do differently if you had to do it over again? Hayden: Well after about 2 weeks of owning the FJ, my dad was going to work over in a larger city about 45 minutes away (Durango, CO) for the day and I had talked to him about lifting the FJ but all the mechanics that my dad had talked to about the subject told him lifting the FJ was a bad idea but a leveling kit would be a much better alternative. (FOOLS!) So that day, my dad took the FJ to Durango and as a surprise; he had a friend install a leveling kit on my FJ. Of course, that was cool at the time, but after I got into off-roading, and as my knowledge on the subject has increased greatly, having an actual lift kit or at least something like an Old Man Emu would be SO much better. After doing that lift comparison thread, I was able to determine that I have the ReadyLIFT 3” lift kit, but it’s still just a spacer lift and I really don’t like it. It works, but it seems to have caused more trouble than good (torn UCA boots). So if I could do my lift over again and I had the knowledge then that I have now, I would have used the money to get anything other than a spacer lift. Brian: What future modifications do you have planned for your FJC? Hayden: Well actually, none. You see, I am actually a member of The Church of Jesus Christ of Latter-Day Saints and on September 4th, I enter the MTC (Missionary Training Center) to prepare to go serve a 2 year mission in the California Roseville Mission! So, my plan is that I am actually going to sell (yes, the four-letter word, sell) my FJ Cruiser near the end of August before I leave. My thinking is there is no sense in letting the FJ sit around not doing anything for 2 years and just loosing value while I’m gone, so if I sell it before I leave, I’m hoping I will be able to get a new FJ that is a few model years newer when I get back home. It’s insane I know… but I guess I am just giving up something I love for something, or in this case, someone I love more. Brian: You’ve been very active in wheeling in Colorado and now in Utah. Which folks on the forum have you had an opportunity to go out with? Hayden: Well if I could get my neighbor who is the owner of that Sun Fusion rig to join, then I’d say I’ve wheeled with him a bunch in Colorado, but I’ve had the privilege of wheeling with all sorts of great folks from the forum. But even if I haven’t actively wheeled with them, I have met quite a few too! While in Utah at school this last year, I got to become pretty great friends with a bunch of the active Utah forum members. For example there is FredtheFJ, Ferby, Smalldog, boston801, Codeman006, and Jord710 and others who were up there in Utah and they were such a great bunch of guys and it really was a fun time being up there and getting to be in the action with other forum members, whether it was off-roading or even just getting together for dinner and to install some mods. It stinks being where I am in Colorado though as far as getting involved with other forum members since most of the FJ Cruiser Forum members are located in Colorado Springs and Denver which is about 8 hours away. However, my location is also an advantage because I’m only 2 hours away from Moab, UT AND Ouray, CO! So what is a few days or weekend trip for some people is only a day excursion for me! How lucky is that?! 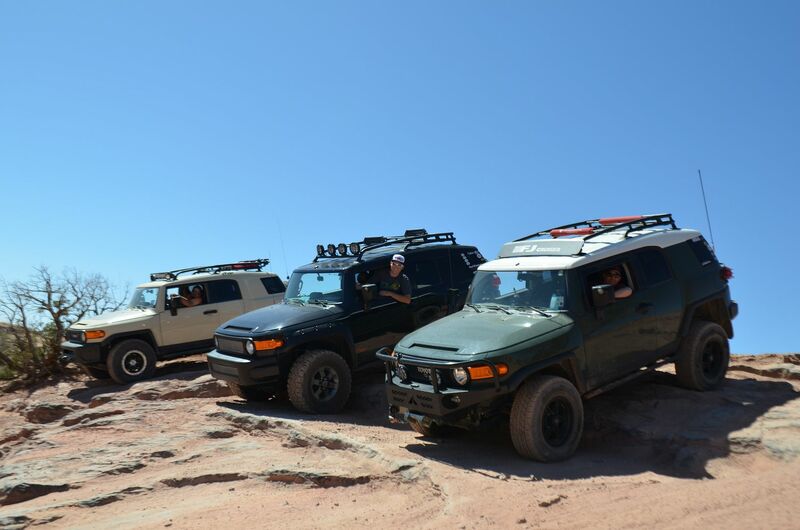 Not too long ago though, I was able to go to Cruise Moab 2013 and had the privilege of meeting some more awesome FJers like mark1mac1, AJONESER, Lmmmmm, and more!! It was so great! And one time, I even got to go out wheeling with the Book Cliff Cruisers from Grand Junction, CO and we ran trails up in the Silverton/Ouray/Telluride area. Probably one of my most privileged relationships I’ve had with someone through FJ Cruisers is been with Ray and Becky Shelton from PureFJCruiser, they have really taken me under their wing and have been so kind and awesome to me and I can’t thank them enough for all they’ve done! 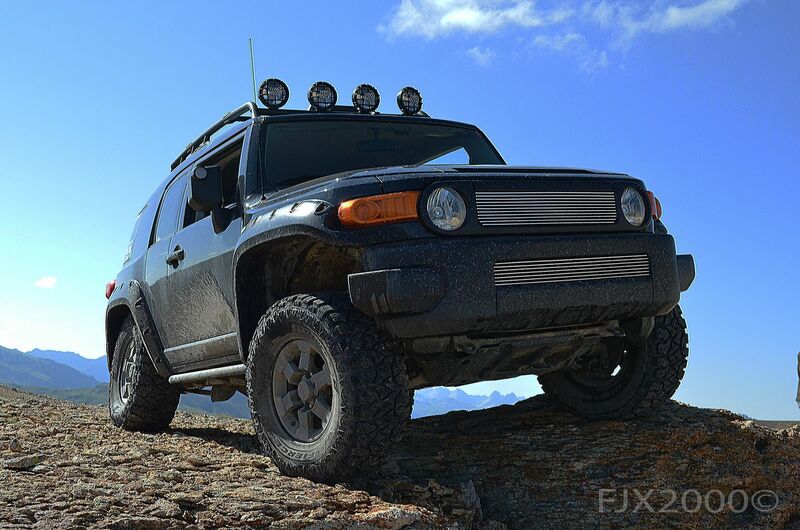 If you’re looking at modding your FJ, I’d definitely look into them as an option for getting a lot of different types of mods. Brian: Where all have you been with your FJC? What trail/park/location is your favorite? Hayden: I’ve only ever off-roaded in Utah and Colorado, but I’ve gotta say, it is just some of the most amazing and fun wheeling you can ever do! I definitely recommend making the trek to the FJ Summit or to Moab at some point in the future if you’ve never been, there’s really nothing else quite like it. In northern Utah, I’ve gone on trails like Rattlesnake near Five Mile Pass tons times, and those are lots of fun, but in Moab, even though I’ve only been able to go on a handful of trails, I plan to go on more in the future and hopefully as soon as I can!!! I’ve also been on trails in the southeastern corner of Utah near Bluff on some of the original trails that some of the Mormon pioneers went on in the 1800s, and those are some of my favorite roads to drive, mostly because you can travel on most of them baja style! 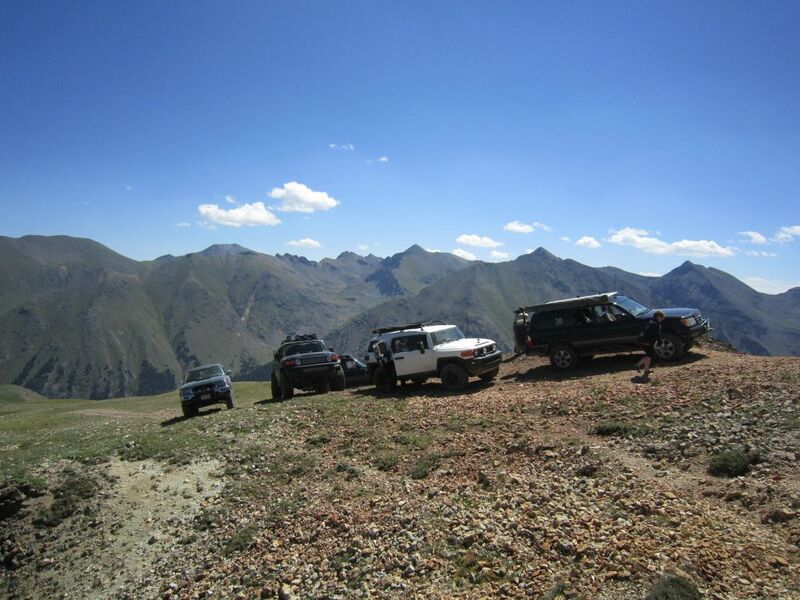 In Colorado, my off-roading experiences have been limited to the southwestern corner of the state near where I live, but that includes the trails near Dolores, Telluride, Silverton, and Ouray, Colorado where some of the most fun and most breath-taking trails are located. There’s nothing quite like getting above the tree line at 10,000+ feet and getting to see snow in July! But probably my favorite trail in Utah would have to be Poison Spider Mesa in Moab and then my favorite Colorado trail is Black Bear Pass by far. 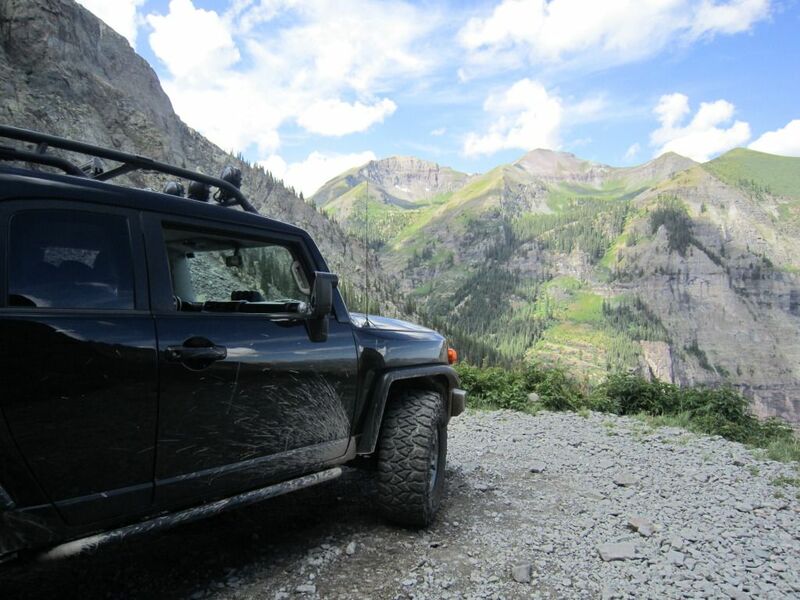 Brian: What park/location that you have not been to yet would you like take your FJ too? 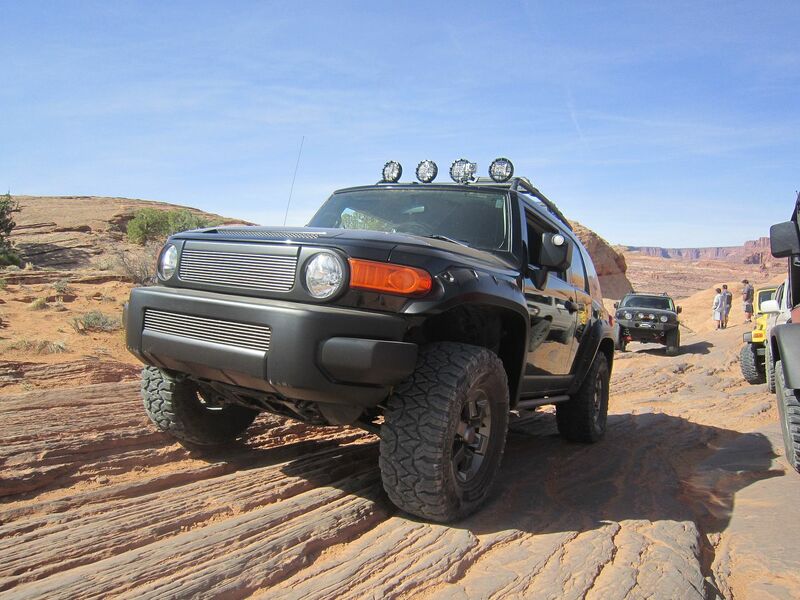 Hayden: There are a lot more trails in both the Moab and FJ Summit area that I still would like to take my FJ for sure. But I also want to expand my off-roading into other states like Arizona and California or perhaps even out on the east coast. I’m always seeing awesome off-roading pictures here on the forum and it just makes me want to get out there and adventure! Brian: You’ve done a couple of summaries/new comparisons recently including the Suspension Comparison thread and Front Bumper comparison thread. What led you to compile all the information on those? Any future ones planned? Hayden: Well for years I’ve been on the forum and time and time again I’d see those older/outdated comparison threads with their inaccurate information and broken picture links and whatnot and I’d just wished that someone would go through and fix them or update them. So, I decided to take that responsibility into my own hands! I did those both while I was going to school this last year at UVU and even though it is a real time-consuming process, I still really enjoyed it. Just something about organizing things and making everything clear is just an enjoyable process for me, and the fact that it could help someone else at some point also is a push more me to do the comparisons. I have considered doing some other threads such as a Rear Bumper Comparison thread or perhaps a Rock Slider comparison or even a Roof Rack Comparison, since those all are widely used mods and there are tons of options available from multiple companies. However, I do not believe I will have time over the summer to be able to compile the information out there into new threads unfortunately, especially with my mission coming up in September. Brian: What has the FJCruiserForums done for you and what can the forum learn from you? Hayden: The forums have really changed my life in more than just one way, but probably the biggest and most important way has been the friends I’ve made who have been there to help me over the years with mods or expeditions. 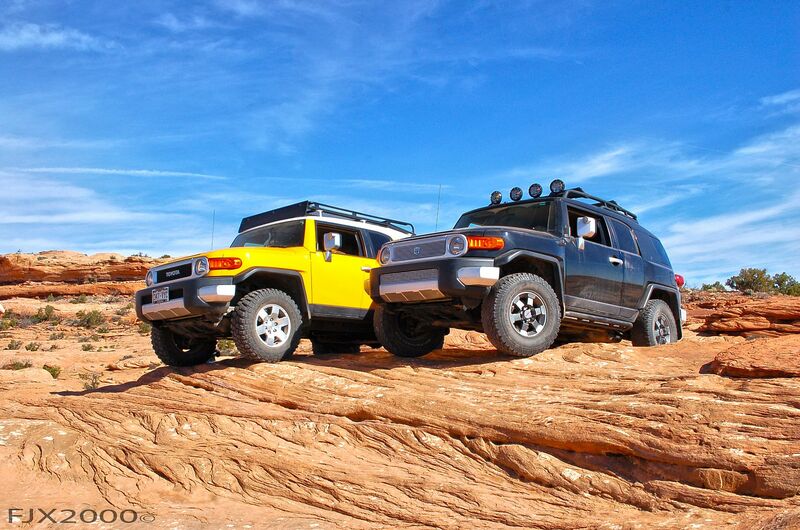 The FJ has also now become a great way for me to meet new enthusiasts and I highly recommend that others do the same. As an extreme example of my FJ obsession, there have been times where I have been driving down the road and I see someone by their FJ in a parking lot or something so without even thinking, I turn around and speed back to talk about FJs!! And almost every person I meet is excited and more than willing to talk about FJ Cruisers and I of course always tell them about the forum, we talk about mods, and then about actual off-roading (I’m not sure I’ve ever converted someone to the forum, but it’s the thought that counts right)? 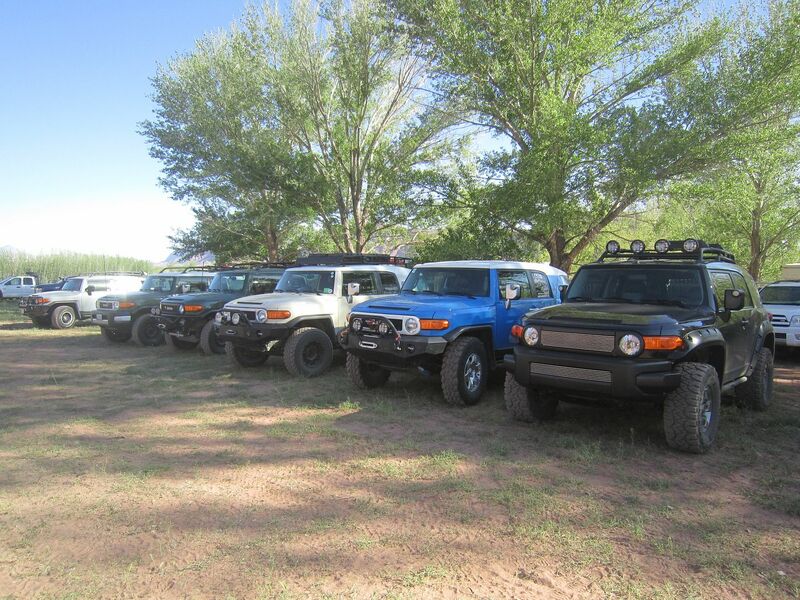 It has been really fun to meet other FJ owners around the country who share my same passion and desire of FJs. I think the forum, like with everybody else, can learn from my setup what works and what doesn’t work. For example, from my rig, some can know for sure that with a bmc, and 1.25” wheel spacers, you can fit a 305/70R16 size tire on a 16” TRD wheel with no rubbing, and there are examples of this where people find out what does and doesn’t work all over the forum. Also, I hope that others can learn and use the materials and threads I have put on the forum for themselves. I want people to be able and use my comparison threads and how-to threads to help themselves with determining and deciding what option to go with, and I also hope people can use my build thread info and adventure thread information to their advantage with their own rigs and wheeling trips in some way. Brian: Has anyone on the forum inspired your build or been a go to resource for you? Hayden: Yes, I’ve seen a lot of rigs over the years that have inspired me, both in person and on the forum, and some of them are REALLY cool, but probably a couple of my favorites are Joeisip811 and one from LCNW. I just think they are both awesome looking rigs and I actually got my Bushwackers and my TRD exhaust tucked because of Joe’s FJ. If I could, I would totally get a Land Cruiser Northwest front bumper since that is my most favorite bumper of all time! However, because I’m going to be of selling my FJ in the next few months, I won’t be purchasing a new front bumper anytime soon. Really, my biggest resource has been what I’ve gained and learned from everyone on the forum and from others in the off-roading community. Most of the people I’ve run into, specifically this last year, have been so open and helpful to me, and I really appreciate all the things people have done for me or have been willing to help me with; especially since I have so little to offer in return with my limited knowledge, resources, and experience (compared to so many others on the forum). As a matter of fact, even though I’m honored to be the June member of the month, I feel so inadequate compared to so many of you guys out there who are so great; but I’d just like to say thank you to Brian, and to everyone else on the forum for all you’ve done for me, and for being such an awesome and cool community to be a part of! 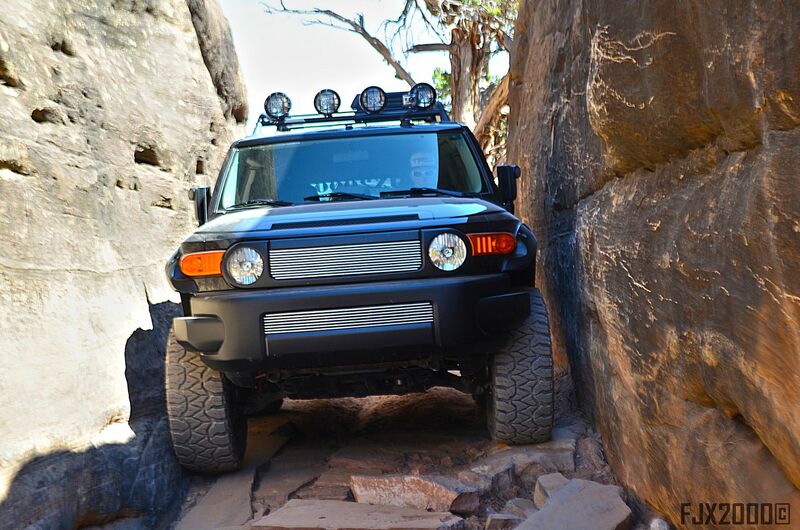 Brian: What has been the most memorable experience with your FJ Cruiser? 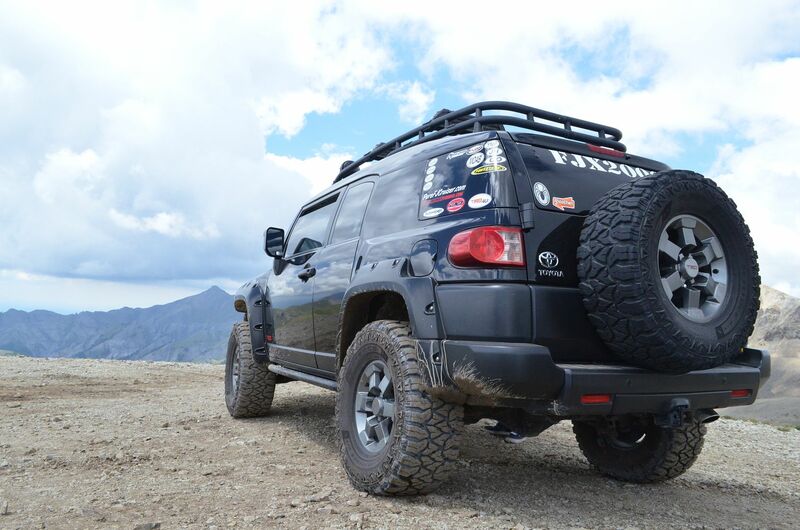 Hayden: Probably my most memorable experience with the FJ was getting to go to the FJ Summit in 2012. I plan again to go to the FJ Summit No. 7, but last year was such a blast and I’m super excited to go again! It’s actually a crazy story: so before the Summit, on July 4th last year, I was in Blanding, Utah for all of the 4th of July celebration. My family has always gone to Blanding since that’s where my grandparents and some of our other family is located, (and since their small-town celebrations are so much better than Cortez’s planned events for the 4th). Anyway, it was raining and night time and my family and I were getting ready to watch the fireworks out in my aunt’s backyard. As the fireworks started going off, we were probably only a little over a ½ mile away, but my younger cousins and I wanted to get a better vantage point to watch the fireworks. So, we hopped in my FJ and started towards the location of the day’s main festivities, or in other words, where they were shooting off the fireworks. There was a large dirt field covered with tall/dry grass they had turned into a parking area adjacent to a nice green field of mowed grass where people were laid out on their blankets and chairs to view the fireworks. As I headed out to park next to the cars lined up in the field, I never saw the 4-foot deep, 2 1/2-foot wide drainage ditch running on one edge of the field because of all the tall grass and weeds. So as I pulled into my parking spot my FJ started to slip and tipped sideways into the ditch on the driver’s side and was totally stuck. We ended up having to crawl out the right (passenger’s side) window and onto the higher ditch ground, and I could tell it wasn’t going to be an easy chore of getting my FJ out of the ditch. I also noticed how the doors and fenders on the driver’s side were very damaged. Lots of people saw and heard the accident, so after the fireworks stopped, many came to my aid, and because it was a small town, people were super willing to help and 2 guys actually ran back to their houses, got their tractors, and came back to dig me out! It was actually pretty amazing how they got me out of the hole, but in the end, after over $7,500 in damage getting repaired, my FJ was finished just in time for me to attend the last day of FJ Summit No. 6 where I got to run Black Bear Pass, and I was able to go to the vendor night, dinner, and to the world-famous raffle! (I did not win anything but just being able to be there was good enough for me)! That is an experience I will always remember! Plus, it was actually when my FJ was getting repainted at the shop that I had them black out the trim pieces, so I finally got that “blacked out” look that I had always wanted! Brian: What advice do you have for someone new to the FJC or the forum? Hayden: Get involved! I highly recommend that not only you read and learn from others on here, but that you have others learn from you! Your experience and knowledge matters, and when someone joins the forum, I know how it may be confusing and hard to figure out your way around the forum at first (especially if you’re not familiar with forums like I was! ), but as you learn how stuff works here, it is the best resource you can have for learning ANYTHING FJ Cruiser related. Toyota has really made an amazing vehicle and I’ve loved every moment of having my FJ for the past 2 years or so. I just think that everyone should have a great and amazing experience with their FJs, but I advise that people should never let the FJ be a top priority. Even though it is enjoyable, and I know how it can be addicting to be on the forum for hours at a time; family, friends, and work should always come first. Now if you can find a way to combine “FJ Cruiser time” with “family time” or “work time,” then good for you! But never let the FJ become an obsession or something that causes anxiety or problems in your priorities or financially, or in relations with those around you. Again, I’m so honored to be asked to be the June member of the month and I’d like to thank my family and all my friends for everything they’ve done for me, and I hope to get to know more of you in the off-roading community. Who knows, maybe someday our paths will cross and we could go wheeling together! But thank you Brian for this privilege, and I wish you all the best! Congrats again Hayden and thank you for all your great contributions on the forum . You haven’t really failed, because you haven’t really tried to succeed. So don’t credit yourself as a failure. You’re worse than that.